This fall I completed dozens of game cycles for the hardworking folks at Toronto's Rune Entertainment along with uber-talented local animator Rob Gennings. 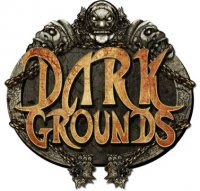 Dark Grounds is an upcoming multiplayer action RPG from Mikoishi, a Singapore-based mobile and online gaming and marketing company. The game is set to launch early in 2010.